Last date for the online registration: - 17th Feb 2014. Name of the Post: - Yantrik. Educational Qualification: - 10th Pass from any recognized board and 3 years diploma in Electrical/ Electronic/ Mechanical Engineering with 60 % marks. Age: - 18 to 22 Yrs and relaxation as per Govt norms. Pay Scale: - 5200/- to 20200/- with grade pay of 2400/-. 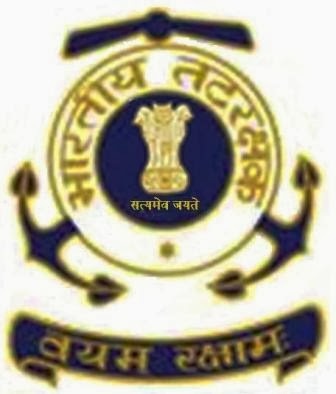 How to apply: - All the candidates can apply for the given post through online by the official website of Indian Coast Guard before the last date of online registration.